As the end of the year approaches, your business likely is looking to the future to determine goals and strategies. These goals may focus on profitability, increasing sales or expanding your operations. While these are all worthwhile objectives to work toward, it’s important to take part of your year-end planning time to assess the facilities and equipment you already have. Maureen Ehrenberg, chair of the International Facility Management Association, pointed out in her column in FMJ Magazine that facility managers are in a unique position to bring value to their companies through efforts to create safer work environments, which will in turn boost company morale and reduce the risk of on-the-job injuries. In addition, updating equipment so it works properly and lasts longer will also be valuable to the business. An important part of profitability is how much of your company’s profits need to be reinvested into reactive or emergency maintenance. When a critical piece of equipment breaks down, it negatively impacts your bottom line in several ways: It slows down productivity, plus requires capital to cover the expenses of repairs or replacements. As a business, you likely put great emphasis on the quality of products you use or sell. You know that certain items are of a higher quality than others, and this level of quality is important to your customers. The same could be said about warehouse equipment. Some products may be better made than others. Evaluate where you spent your maintenance dollars over the past year; are there certain brands, pieces of equipment or areas of the warehouse that required more maintenance than others? Service Channel pointed out that identifying these themes can help you anticipate maintenance needs in the future. Whether you spent your maintenance budget on reactive maintenance or proactive maintenance also makes a big difference. For the former, the repairs or replacements may come after total equipment failure. When machinery stops working, it puts a hold on productivity and potentially creates an unsafe work environment. Additionally, more likely than not, the equipment hadn’t been performing at top efficiency for a while; it began slowing down in some ways before it stopped working entirely. That means productivity was negatively impacted for long before the machine failed. 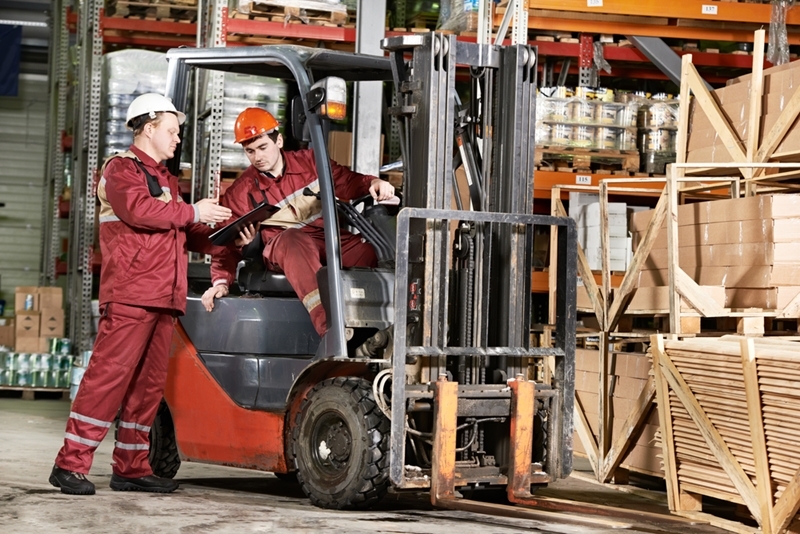 Further, when a piece of equipment stops working unexpectedly, it puts added pressure on the facility manager to get it repaired or replaced quickly. Conversely, in the case of proactive maintenance, it’s far less likely for the equipment to shut down unexpectedly, which means there shouldn’t be any unforeseen interruptions in productivity. It also means the equipment can be placed out of operation at a time of the facility manager’s discretion – during a slower period of time or over a three-day weekend. Since proactive maintenance occurs before major signs of equipment failure, this strategy will allow the machinery to operate at top performance longer, eliminating lost productivity due to poorly performing equipment. If there’s been an emphasis on reactive maintenance over the past year, you may be able to save money, increase productivity and create a safer work environment by scheduling proactive maintenance days periodically throughout the coming year. Ehrenberg pointed out that an important aspect of achieving facilities’ goals is to ensure they have clearly defined benefits for the business as a whole. As a facility manager, you know the importance of having a smooth workflow with no disruptions, but it’s critical that the top decision-makers in the company understand this as well. Unfortunately, this may not always be the case. Fully functional equipment is important to overall business goals. To ensure your company understands the importance of investing in proactive maintenance or equipment upgrades, relate them directly to company goals. If your company wants to cut operational costs, consider showing how much reactive maintenance has cost over the past year. If your company wants to increase employee engagement, explain how ineffective machinery can put a drain on workplace morale and safety. Once you’ve determined areas where spending can be reduced and identified how facility maintenance or enhancement goals can benefit the company overall, it’s time to plan out your facility management budget for 2018. Service Channel noted that the most effective facility management teams tend to focus on a few key areas, including planned maintenance, contractor-initiated work orders and facility management analytics and reporting. By including these aspects into your facility management plan for the upcoming year, you may start to see improvements, including greater productivity, a safer and more efficient workplace and fewer unplanned slowdowns due to failing equipment. To begin planning proactive maintenance, reach out to Miner. Our professionals can identify ways you can improve efficiency and safety in your facility and make suggestions to help you achieve your 2018 facility management goals.